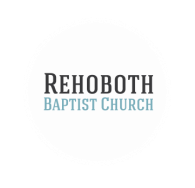 Rehoboth Kids is an awesome place for kids to investigate God and his word. Through Equip, Children's Church, and Wednesday night Revive! there are opportunities for kids to creatively engage with age appropriate teaching and valuable life lessons. For more information or questions please email rbchurchkids@gmail.com. 5:45 pm Dinner and Revive! Equip is an interactive Bible lesson through Group curriculum. In children's church we are following Group's Dig Into Discipleship program. Revive! on Wednesday night is the time for us to restart and revamp during the week. For children birth to three years old we have a nursery located right off the main entrance. A qualified volunteer will be available to meet you in the room and help your child feel comfortable when you are at service. The nursery is open and available on both Sunday Mornings and Wednesday Nights when we are in service. My name is Alicia Mullinix. I have my Masters in Elementary Education and teach Kindergarten at Kirksville Primary School. I am married to my best friend, Taylor Mullinix. I am very excited to share the love of God with every child that walks through our doors. My goal as Children's Director at Rehoboth is to teach the children about God's truths and promises.